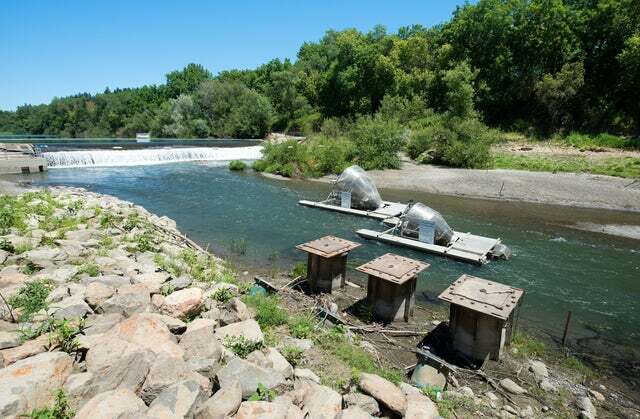 The Sonoma County Water Agency Mirabel inflatable dam and fish ladder on the Russian River in Sonoma County, California. A new study of Russian River tributaries found that even small amounts of streamflow can help endangered Coho salmon stay alive. “We were amazed that fish were able to make it through the summer with just a trickle of water running through [the streams],” Obedzinski, who is also a specialist with the California Sea Grant Extension, said in an interview. This means that relatively small concessions by water users can have profound implications for struggling Coho runs, and Obedzinski said she hopes her published findings will help motivate water conservation among farmers and rural residents in coastal watersheds. “Our hope is that people might be more inclined to sacrifice a little water now that they realize it’s not all that much and that it would be really meaningful for the fish,” she said. Obedzinski, whose paper was published in the journal Transactions of the American Fisheries Society, studied four tributaries of the Russian River between 2011 and 2013. She and her colleagues fitted juvenile Coho born in a United States Army Corps of Engineers fish hatchery with transponder tags and released them into their study creeks each spring. Months later the researchers walked the creeks with detection equipment, tracking down the tags and determining whether the fish that wore them were dead or alive. They observed that fish survival rates were consistently lower in pools that had become isolated by dropping water levels, which caused water temperatures to increase and oxygen levels to fall – and the longer a pool had been disconnected, the fewer salmon had survived. They also observed that minute volumes of moving water would keep salmon alive for months. Coho salmon have fared much more poorly in the 20th and 21st centuries than their larger cousins, the Chinook salmon, which remain abundant enough to be fished rather intensively throughout their West Coast range. That’s mostly because Chinook salmon tend to spawn in large river systems that are much more resilient to drought and water diversions than the small creeks favored by Coho, which often go nearly dry in the summer – a natural characteristic which has been exacerbated by human consumption of water. Also, whereas juvenile Chinook spend only a few months in fresh water – mostly during winter when rainfall is plentiful – before migrating to the ocean, Coho juveniles spend an entire year in the streams where they were born before heading for the sea. “The fact that they summer in these little creeks makes them really vulnerable, since so many creeks now dry up each summer,” said John Green, a lead scientist with the Gold Ridge Resource Conservation District, in Sebastopol, Calif. His organization, as well as the California Sea Grant Extension and several conservation groups, is part of a collective called the Russian River Coho Water Resources Partnership. The collaboration is arranged so that research from scientists like Obedzinski can be used to help refine onsite conservation actions. The Gold Ridge RCD, for example, is building rainwater catchment and storage systems for homeowners using scientific data to help set streamflow targets. Green also said he and his colleagues had persuaded several landowners in the Green Valley and Dutch Bill Creek valleys to release stored water into tributaries when summer flows grow critically low. “One of our objectives is to get to where we have fewer of those years where the streams dry out in the summer,” Green explained. 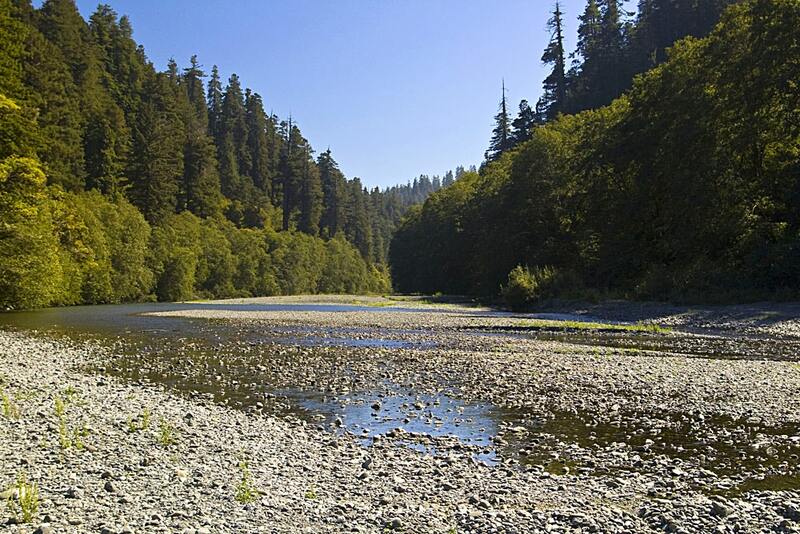 The conservation district has built rainwater catchment and storage systems in more than two dozen locations – mostly in the drainage of Salmon Creek, which enters the ocean about 5 miles south of the Russian River’s mouth. Over time these projects, though individually small, should have detectable benefits. “We expect to see a pattern of less dried-out streams in midsummer,” Green said. Half-a-million or more Coho may once have spawned in the Russian River and its tributaries. In the 1990s, Green said, the number of returning adults dwindled “down to the double digits.” Some estimates placed the population at less than 10 fish at its lowest point. Now the fish are bouncing back, at least a little. “They’ve been given a new lease on life, and that’s thanks to the conservation hatcheries [that rear juvenile fish in tanks and release them into the wild] and the work people have been doing to keep these rivers flowing,” Green said. Habitat loss, largely from development and logging, has been the main cause of the Coho’s decline, and intensive use of water – for both residential use and agriculture – continues to threaten California’s Coho. Conventional road-building methods harm the fish, too. Ditches and culverts intercept rainwater and channel it directly into streams. 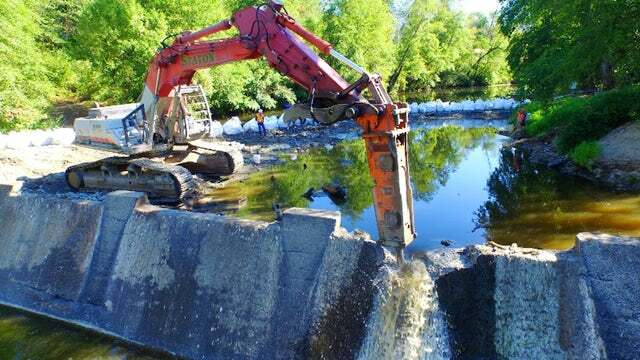 This causes gushing floods in the winter that damage fish habitat. Because less water is able to percolate into the soil and seep later into creeks, it means watersheds dry out more rapidly and more completely in the summer. “We need to address road networks in these drainage systems because they intercept so much of the water, and we’re working with private landowners now to modify their ditches and culverts,” Green said. Farther north, in Mendocino, Humboldt and Del Norte counties, Coho salmon have been similarly impacted. 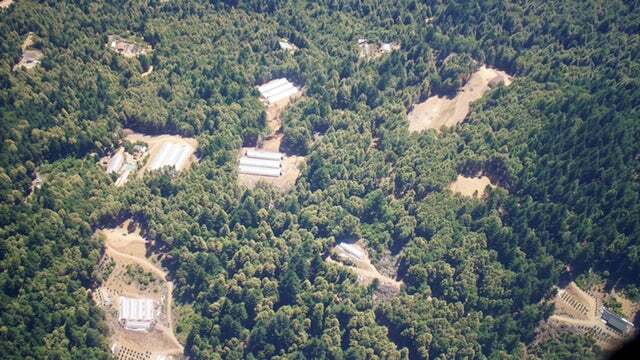 Scott Bauer, an environmental scientist with the California Department of Fish and Wildlife, has closely monitored Humboldt County’s cannabis industry and its toll on the environment. For many years, it was standard practice for illegal growers to draw water directly from creeks for summer irrigation, causing the streams to dry out. County regulations now forbid the direct withdrawal of water from creeks, said Bauer, who believes stream conditions may be improving for Coho. He said it was already well understood that “every gallon per second matters” for Coho salmon in small creeks. Still, quantifying this information in published data, as Obedzinski and her colleagues have done, “helps to educate the public and bring awareness to the problem,” ultimately generating social changes that benefit the environment, Bauer said. Bauer would like to see research go a step further and explore not just how much water salmon smolts need to survive, but how much they need to thrive. “Big fat Coho babies that go to the ocean have a better chance of survival than a skinny fish that barely squeaked by,” he said. While the minuscule amount of flowing water needed to protect young Coho was an encouraging discovery, Obedzinski warned that the results of her work should not be interpreted incorrectly. Coho, she said, may be able to survive a dry summer with just a trickle of water flowing through a stream. Obedzinski and her coauthors acknowledged that that aspect was not covered in their analysis. “We did not evaluate the size or condition of the fish, nor determine their fate to the smolt and/or adult stages,” they wrote.